Simon Peter, he has the keys to the kingdom, he was giving the charge to feed the sheep and the lambs. It was his revelation, that Jesus Christ is Lord that the Church will be built upon. He led a group to the upper room to seek a Comforter; he led them from the upper room empowered by the Comforter. He preached Pentecost and salvation for the whole world seeing 3000 added to the church the very first day. He was a very anointed man of God that knew Jesus on a very personal level. I say all of this not to exalt Peter above that which he was, a man, but as an introduction to a powerful truth that is found in his first letter. It goes to show you that the background of the men that you allow to input in your life is as important as the messages they preach. In the beginning of his letter Peter hits us with some pretty amazing things. He praises the Christians that are scattered across Pontus, Galatia, Cappadocia, Asia, and Bithynia for their steadfastness in the doctrine of salvation through Jesus Christ. He commends them for their love for Him even though they have never seen Him. It is almost like he is telling them, “I loved Jesus, because I walked with Him, but your faith is so amazing that you love Him just by hearing about Him.” He then goes on to tell us that since they have received the Holy Ghost (with the evidence of speaking in tongues [Acts 2, Acts 10, Acts 19] that the very angels that are constantly in the presence of God desire to investigate or to look into it. In my mind’s eye I can see the angels straining to see through the portals of glory whenever a person is filled with the Spirit of God. They aren’t amazed by the streets of gold, the walls of jasper or the gates of pearl, yet they are so intrigued by a person receiving the Holy Ghost. The Greek word that is used even means they desire it or they crave it or it could be translated to say, “They crave it so strongly that they wish to stoop down in that moment of time.” That is just a little hint of how amazing receiving the Holy Ghost is. Then Peter lets the rubber hit the road in verse 13 (open up your Bible if you haven’t already) He tells them to “gird up the loins of your mind” in other words, “set your mind straight” or very plainly, “get a grip”. The message was, if the very angels crave what you have inside of you then stop taking it so lightly. He goes on to say that these believers needed to hope that the grace that they had received when they had the revelation of Jesus Christ stays with them until the end. Next he says in verse 14 to be obedient to God, DON’T BE LIKE THE WORLD by lusting in your ignorance. The remedy for this ignorant lust is being HOLY in all manner of conversation. Going back to the Greek, conversation was also used as behavior or lifestyle. Then to get it all out there he quotes the OT by saying, “be ye holy, for I am holy” (God speaking not Peter) leaving no room for misunderstanding. Let me put this in to our “Post-Modern” world. What you have is so special that the angels in heaven want what you have; they desire the relationship with God that you can achieve with His Spirit in you. So stop looking at the world as if you are missing something, what you have goes beyond the wonders of heaven and earth, beyond all the treasures of the universe. Yet if you lust after the world and long after it you may go beyond the boundaries of grace that you received when you first believed. These days there is so much talk of pushing the envelope and being progressive, but the grace of God is not an envelope I care to push against or something that I want to progress beyond. In other words if we lust after the world so much, one day God is going to let us be part of it with all of its benefits, i.e. death, judgment and eventually hell and a burning lake of fire. The only way we are going to avoid things like that is by having a holy, consecrated lifestyle. Satan has a lot of tricks but he lacks much originality. For every good thing there is in God, he has a dastardly tool to counter it. So it is with Holiness. Peter told us that God is holy. Holiness within humanity has a few properties, such as it helps shield us from the world, it sets us apart from the world, and most importantly it draws us nearer to God. Lust has similar properties, it shields us from the will of God, it sets us apart from the church, and most importantly it draws us closer to the world. Since God has been around a long time before satan, He is the original. He is holy so holiness is the original. That means that we need to change our way of thinking. Holiness is not God’s answer for lust, but lust is the world’s answer for Holiness! God provided the standard, satan tries to counter it. So, if you fight against holiness, the only thing to take the place of it in your life is lust, which James teaches us leads to sin, and sin to death. James also said that temptation is going to come to every man believer or non-believer, but how you deal with it is up to you. 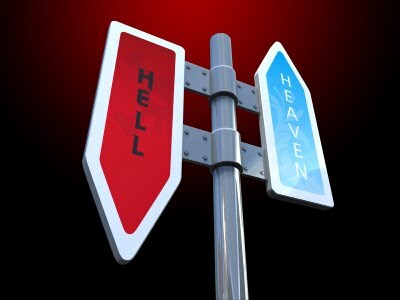 The choices are you either allow lust to be your response or holiness. I pray that as you are reading this you rejoice in the consecrated lifestyle that God has given you, for that is how humanity was meant to live in Christ. Yet if you reject holiness, the only thing that can fill the void of it is lust. Let us be compelled by God to follow Him in all things, like Peter said, gird up the loins of your mind and stop following the ignorance of lust.